Chithirai New Year day falling almost on April 14, Chithira Poornima-Full Moon in April-May, Akshaya Tritiya in April-May with Lord coming in procession on Garuda Vahana, procession of Lord on Silver Garuda Vahana on Vaikasi Visaka star day in May-June, Aadi perukku in July-August, Gokhulashtami and Vinayaka Chaturthi in August-September, Purattasi Saturdays and Vijayadasami in September-October, Tirukarthika in November-December, Hanuman Jayanthi, two car processions for Anjaneya and the Lord with Mother on Sri RamaNavami day and Panguni Uthiram in March-April are the festivals celebrated in the temple. The temple is open from 6.30 a.m. to 12.30 p.m. and from 3.00 p.m. to 9.00 p.m.
Sri Kaliyuga Varadaraja Perumal Temple, Kallankurichi, Ariyalur district. 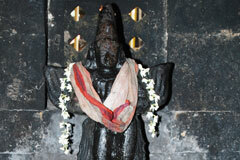 The ten Avatars of Lord Sri Vishnu are aesthetically sculpted in the Dasavathara mandap in the temple. The temple is noted for its sculptures. 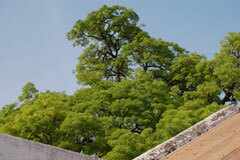 The sacred tree Mahalingamaram is near the sanctum still green as in ancient days. 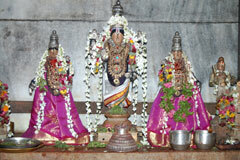 If agricultural yields are happy, farmers undertake to contribute a specific quantity to the temple. 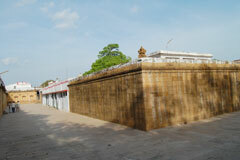 There are huge warehouses around the temple to stock food grains. Ear boring ceremonies only are conducted in the temples. Marriages are not celebrated here. Besides contributing large quantities of food grains, farmers also donate the first calf of their cattle for their health. 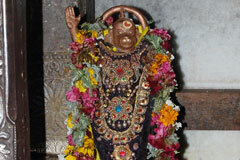 There is a 12 feet tall post in the sanctum sanctorum held by Sri Anjaneya which is considered the presiding deity. Pujas are performed only to this post. 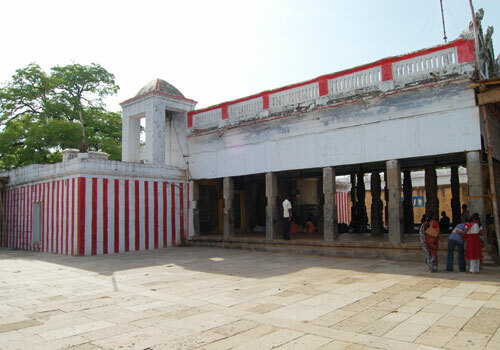 There is no Sorgavasal (Gates of Heaven) on the Vaikunda Ekadasi day as traditionally seen in Vaishnavite temples. Instead, procession deity is taken on procession. There is no separate shrine for Mother. As the presiding deity is believed to be in the post in the sanctum, it implies that Mothers too are with the Lord in the post. 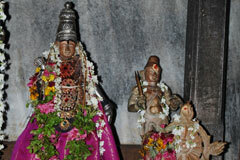 Procession deity Kaliyuga Varadaraja Perumal graces with Mothers Sridevi and Bhoodevi. 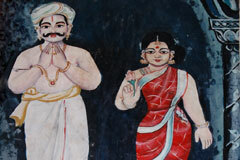 About 250 years ago, one Gopalan, belonging to Vanniya community was residing in Ariyalur Sidhalavadi. His son Mangan was managing a herd of cows. He found one of the cows in its advanced pregnant state missing and could not find it even after three day search. On the third night, Lord appeared in his dream and said that his cow was safe at a place two miles westward between a banyan and Mavilinga tree near a bush and that he could pick his cow and calf. Mangan was too happy to have his cow and calf at the place indicated by the Lord and found a post wet with the milk of the cow. He worshipped the post and returned home happily. On the seventh night then, Mangan heard the Lord telling him in the dream what great a fool was he to return home with his cow and calf only leaving the post which even great rishis could not see even after a penance of 8000 years. “You have left behind a thing that has no end. You are not aware of the relationship between me and your ancestors who were worshipping Vishnu in Seethalavadi. They were bringing this post to build a temple but could not as the axis of the cart broke down on the way and they left me there. It is the wooden post you saw the other day. It is now your duty to install the post and begin the worship. I hid your cow only to remind you of your duty. I am Kaliyuga Perumal.” So saying, Lord disappeared. 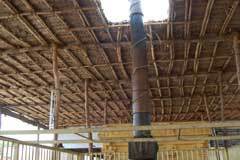 Mangan took the command of the Lord on his head, brought the wooden post and built the temple. 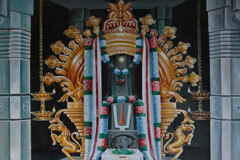 Kaliyuga Varadaraja Perumal thus came into being in Kallankurichi.